ICIS publishes the weekly Acetone report in Asia, China, Europe and the US. The reports contain information on spot and contract prices, imports, and production issues, as well as maintenance plans and upstream/downstream intelligence. 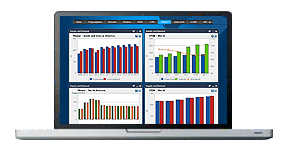 The unbiased pricing data, gathered by our locally based reporters, enables those involved in Acetone or related products to make informed business decisions. Taiwan Prosperity Chemical Corp (TPCC) extended its turnaround beyond January. A fire occurred during the initial start-up phase. Formosa Chemical and Fibre Corp (FCFC) was shut for scheduled maintenance from February. India’s Hindustan Organic Chemicals (HOC) and SI Group were shut due to plant issues in January. Buyers stocked up in the lead-up to Thailand’s PTT II scheduled turnaround, expected in April. 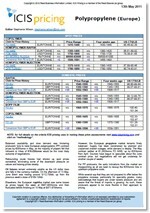 Prices in China and India softened from mid-March. Demand rose in China on the back of stocking-up activities in the lead-up to the Lunar New Year in mid-February. In India, spot procurement increased, as contractual volumes were affected with two domestic producers facing production issues in January. Asia’s spot acetone prices were on an uptrend from January to February. But post-holiday in China, and with Indian domestic production resumed, demand fell, prompting prices to be soft by the close of the quarter. European acetone supply turned ample in the first quarter after balancing to some extent on production issues at the end of 2018. Many in the market said that this length was of structural nature. Spanish seller CEPSA’s 279,000 tonne/year Huelva facility was on reduced rates in February. Nonetheless, acetone stayed well supplied and this led to competitive offers in the market. Slow activity marked the European acetone market at the start of the year. Although there was some re-stocking, the downstream methyl methacrylate (MMA) market began 2019 slowly. Weak performance in the automotive industry limited MMA consumption in what is typically a quieter part of the year. German MMA producer Evonik was also running reduced rates in the first quarter at its 225,000 tonne/year Worms and 95,000 tonne/year Wesseling facilities. Oversupplied conditions have persisted since early 2018 amid strong demand for co-product phenol and a glut of imports. Three producers had operating issues during the quarter, but they did not affect acetone supply levels. The US launched an antidumping investigation, which slowed imports. Oversupply has put significant downward pressure on the domestic acetone market, with softening prices since mid-2018. Although three separate producers experienced operating issues during the quarter, this did not affect supply and demand balances. Demand was seasonally sluggish. Oversupply has pressured prices downward since mid-2018 in solvents markets amid competition from imports priced well under the domestic market. With an antidumping investigation under way, buyers began to examine alternative sources for material. We offer the following regional Acetone analysis and news coverage to keep you informed of factors and developments affecting prices in the Acetone marketplace. Acetone is a clear, water-white volatile liquid, slightly hygroscopic with a mild, mint-like fragrant odour. It is highly flammable, miscible in all proportions in water, ethyl alcohol, ether and will react explosively with strong oxidising agents. The largest outlet for acetone is the manufacture of acetone cyanohydrin (ACH), which is a precursor to methyl methacrylate (MMA) and methacrylic acid. An important derivative of MMA is polymethyl methacrylate (PMMA). Applications for PMMA include windows, skylights, signs, lighting fixtures, automotive parts, medical devices and appliances. A growing sector is in electronic applications where it is used in flat screen televisions and liquid crystal displays. Methacrylates are also used in latex surface coatings in applications such as architectural, automotive, wood furniture, lacquers and enamels. Nearly all MMA is polymerised to make homopolymers and copolymers. The second largest use for acetone is the manufacture of bisphenol-A (BPA), whose growth is driven by the polycarbonate sector. Acetone is used to make a number of chemical derivatives such as methyl isobutyl ketone (MIBK), isophorone and diacetone alcohol/hexylene glycol. Nearly all acetone production is via the cumene route where 0.62 tonnes of acetone is produced with each tonne of phenol. As a co-product to phenol, acetone availability is dependent on market conditions for phenol.